Best Texas FHA Lender! Take a look around we'd love to start the process with you! FHA loans are loans that are insured against default by the Federal Housing Administration (FHA). Texas Premier Mortgage offers FHA & takes this already great loan program and makes it an easy and fast process. 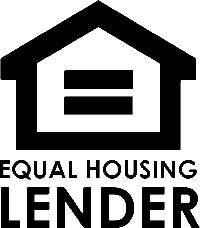 This great loan program makes it simple for those who may not qualify with other programs to qualify. FHA typically offers lower interest rates, lower income requirements, and does not hold as much weight to your credit score compared to other loan programs. To learn how easy it is to qualify, simply fill out our Quick Quote and have a loan specialist contact you today! Your down payment can be gifted from friends, family, or received through other government programs. Easy credit qualifying for great interest rates even with lower credit scores. Fixed rate programs to help budget your income and prevent foreclosure. Qualify even if you have had bankruptcy in the past. Texas FHA Mortgage Loans Texas FHA Loan is the easiest mortgage and most lenient loan to qualify for. They offer a low down payment and are available to homebuyers with less than perfect credit. FHA Loans allow for lower credit scores, less of a down payment, and some unique circumstances. Adam is a first-time homebuyer and has some credit issues from his college days and past late payments, a couple defaulted credit cards and a few students loans that are just now getting caught up. Adam would like to buy a house, but has limited cash for his down payment. Adam’s realtor referred him to their in-house mortgage company who told him that he needed at least 640 credit score to get FHA financing. They advised him that he should continue to work on his credit, although he found the perfect property. Although Adam has a 590 credit score, his last 12 months of rent payments have been made on-time, he has a good job history, and has just enough for a down payment under FHA Guidelines of 3.5% down. We also offer Texas Premier Mortgage Exclusive Zero Lender Fees and able to save him thousands of dollars in closing costs. After a phone call with Texas Premier Mortgage, Adam was issued a pre-approval letter with his realtor and was able to make an offer on his dream home. Adam was offered solutions by calling a Texas FHA Lender.